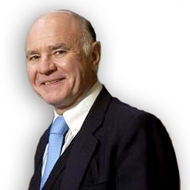 Marc Faber : I think it’s a symptom of the new world order I was referring to where the balance of economic power has shifted to Asia and emerging economies. This becomes very clear if you look at European companies. Where do they grow? Not in Europe. Asia has become and will remain the growth market. The gas deal is a big deal in the sense that, it proves how incompetent US foreign policy is. The US supported the opposition in Ukraine thinking that Russia will do nothing. But Crimea is strategically important to Russia since it gives their eet access to the Mediterranean and the Middle East. And so, by supporting the opposition in Ukraine, the Americans essentially removed a democratically elected president. He may have been incompetent, but he was democratically elected nevertheless. That’s democracy! In democracy you have incompetent people at the top. The Americans also thought they can push the Russians a bit further by trying to lure Ukraine into NATO. That was a step too far and so the Russians reacted by signing a gas deal with China! The significance of this deal lies in that the payment will no longer be made in Dollars but in local currency, the Ruble or Yuan. I think this is symptomatic of an empire, the US, in decline and a global currency in decline as well. Don’t forget, until WWI, the world currency was the British Pound and its importance diminished afterwards. And now we have a gradual lessening importance of the US Dollar.